Jeff Kaplan has spoken about possible plans for the future of the Overwatch universe, including maybe expanding into other genres. For now, why not check out our list of PC’s best FPS games. We already know Blizzard like to flesh out their worlds, whether it be in movies, card games, crossovers and whatever else. The same has already started happening for Overwatch – with a series of animated shorts, some free web comics, graphic novels and more planned to breathe life into the characters – despite the game not being out untilMay 24. This hints at a certain level of commitment: Blizzard need this to be a big success; these characters need to be popular; and there’s a lot invested. And that’s probably why Kaplan feels so comfortable speaking about what the future might bring. 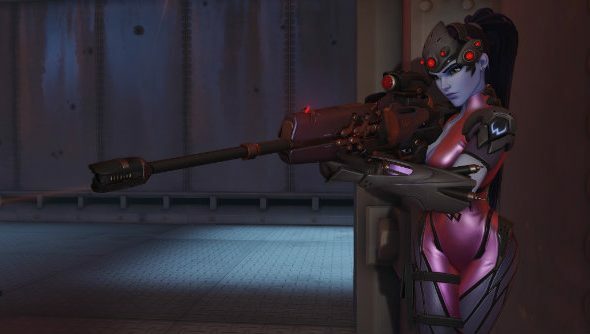 In an interview with Game Informer, Kaplan was asked whether they were planning to bring an overworld or add any PvE elements to Overwatch, to which he responded: “Right now, the focus of Overwatch is entirely on our competitive game. We are very excited that we are going to introduce our play-vs.-A.I. feature, which is getting to be more robust. It’s going to be more like Heroes of the Storm play-vs.-A.I., where players can actually queue up solo but get matchmade with five other players and play against bots. The wording in that last bit certainly hints at the team cooking up ideas for a return to this universe, just “not for the initial offering of Overwatch”, as Kaplan says. What do you lot make of this news? Obviously it would be nice to get our hands on the first game before thinking about a sequel, but what other genres would you like to see explored via Overwatch? Let us know in the comments. Personally, I’d just take a Pixar-style movie.